After I did a lot of research on LASIK, chosen EyeStar for my treatment and speak a lot with their patient coordinators, it was time to choose a way to get there. On the center page, they offer also a free service of helping you book your transportation and reservation at one of the hotels with whom they have partnership. After setting my â€œeyesâ€ (kind of strange to say that isnâ€™t it) on a company that does LASIK, I started to use a very nice feature of their website: instant messaging with the Patient coordinators. First I discussed with Mr. Fred, who was more than happy to clarify all my doubts and respond to all my questions. 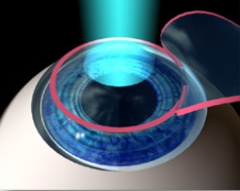 When starting such an important process as LASIK surgery(on which your sight is affected) it is crucial to get as many information as you can. You might want to bing it, to Google it and also ask your friends about it. Also discuss with professionals! You never know when you will find someone who already had it and can give their own personal impression. Today I had the pleasure to present the â€œRIA Business Applicationsâ€. This was a conference of Microsoft Student Partners, of which I am a proud member. My talk covered the Visual Studio 2010 RIA business template, Silverlight 4 in general, RIA WCF and more than this, the Business perspective on software development.